As I started this blog (my first blog) 2 month ago I didn’t know almost anything about blogging. I never realized the huge potential in inspiration I would find here. Thank You to my fellow bloggers as well! Share 7 random things about yourself. Select 15 blogs for the award and let them know. I love to cook for my family and for guest, I love make them happy. I love bright colors everywhere. I always feel “full of ideas”. I love travel on our own and discover other cultures. 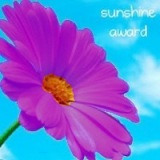 I will spread around the world (in no particular order) the Very Inspiring Blogger Award to bloggers who inspired me. I will complete the list in several steps. I love his recipes inspired by the Italian and Mediterranean cuisine. I’m really happy for the award offered to my blot by Live Blissful. She has a wonderful blog fulll of nice and interesting recipes! If you are nominated you must include the link in a blog, linking to the person/blog that nominated you. You must answer some questions and nominate 10 fellow bloggers and link their blogs in your post. Let the people you have nominated know that you have nominated them! 1) I love peppers as they are very versatile in my recipes and I love their colors. 3) I love quinces and I hope more people will discover them. WOW Alexandra nominated me for the splendid gift of the Liebster Award, this is a big honor. I had no idea what that meant, so I had to go look it and I’m really surprised. Thanks Alexandra, I really appreciate it and you made my smile. Do you believe in an afterlife? I prefer not to make speculations, as afterlife may be so different from what we imagine. If you could have any job in the world, what would it be? Ethnic food expert, if this would exist. For breakfast: Salted or sweet? Thanks a lot to Relaxing cooking for this honor, I really appreciate this! I was recently awarded the Blog of the Year 2012 award by ANDLIFESMILE and by LIVEBLISFUL and was very excited to receive my award and my first star. (You can earn up to six). I hope I understood well how it works and will report the rules as well as the award forward. Wow! I love these cupcakes and this beautiful award. Thanks BakeSlave for this recogizon! Give credit to the person who chose to nominate you. Answer the Super Sweet questions. The wonderful Andlifesmile nominated my blog for “Best Moment Award” . That’s a really special moment for me! Winners re-post this completely with their acceptance speech. This could be written or video recorded. Winners have the privilege of awarding the next awardees! 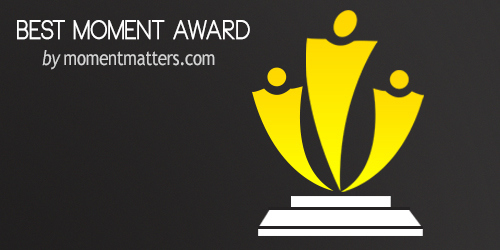 The re-post should include a NEW set of people/blogs worthy of the award; and winners notify them the great news. I’m not a writer, I not talented in holding speaches, but in some way I hope you will feel the gratituted and how this makes me happy! Thanks a lot to Bakeslave for this honor, I really appreciate this! 3. Put on somethin’ frilly, ‘n be tellin’ a blogger ye desire to admire that a Steamin’ Pirate admires ya, ‘n yer passin’ that admiration to him or her to be plundered, if ye so desire. 4. Nominate up to ? bloggers for Pirate’s Admiration Award, provide a link to their blogs in your post, and notify them on their blogs. Thanks a lot again to Bakeslave for this honor, I really appreciate this! 3. Answer 10 questions given. 4. Nominate up to ? bloggers for Sisterhood of the World Bloggers Award, provide a link to their blogs in your post, and notify them on their blogs. I am delighted to nominate the following Bloggers for the Sisterhood of the World Bloggers Award! Congratulations! Thanks a lot to Bakeslave one more again for this honor, I really appreciate this! 4. Nominate up to ? blogs for the award, a link to their blogs in your post, and notify them on their blogs. 5. Copy and paste the award on your blog somewhere. A Great Reader is ……somebody who forget the time while reading. I am delighted to nominate the following Bloggers for Wonderful Team Member Readership Award! Congratulations! Thanks a lot to http://amintiridinbucatarie.wordpress.com/ for the great award! I really appreciate this and I’m honored. Thanks a lot to https://camelliascottage.com/ It’s a refreshing spring surprise for me! Two things, what is the hallmark of a southern lady and the distinguishing mark of a southern gentleman? Stay simple and honest! What is the most difficult thing for you to do as you post your blog? Writing, I prefer take pictures! Give me your 3 best tips for creating a great blog post: colors, simple design and enthusiasm! Which is your favorite spice? Which is your favorite language? Do you like snow or do you prefer the sun? Which is you favorite music style? Which is you favorite beach? Do you prefer to live in a town or in the countryside? Which is your favorite drink? Which is your own favorite post?